We offer a range of sessions to suit all skill levels and ages! Traveler’s dorm: $20/weeknight, $25/weekend night. – Price is per bed. Standard rooms: $44/weeknight, $54/weekend night. – Single king, single queen, or 2 full size beds. Deluxe rooms: $54/weeknight, $64/weekend night. 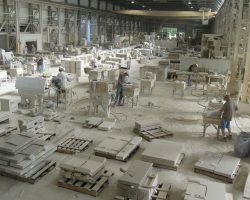 Each full session consists of seven days of immersive instruction in the art of carving limestone, including design, moving stone, splitting blocks, roughing out, using hand and pneumatic tools, and much more. Different instructors are featured each session. 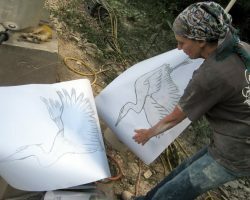 An introduction to using basic tools, roughing out, and working from a maquette or drawing is given on the first day. 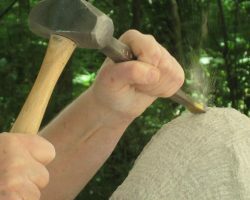 The week continues with techniques for carving and basic principles of sculpting. Instruction is geared toward each participant’s skills, needs and level of proficiency. Tools are not provided. Included in each session: Up to 8 cubic feet of limestone per session (approximately 1,200 pounds), compressed air, electricity, water, forklift, snacks, beverages, official Symposium t-shirt. Limited to 15 participants – register today! The Lettering class starts on Monday at Ivy Tech Comm. College with instruction in forming letters and composition of words. 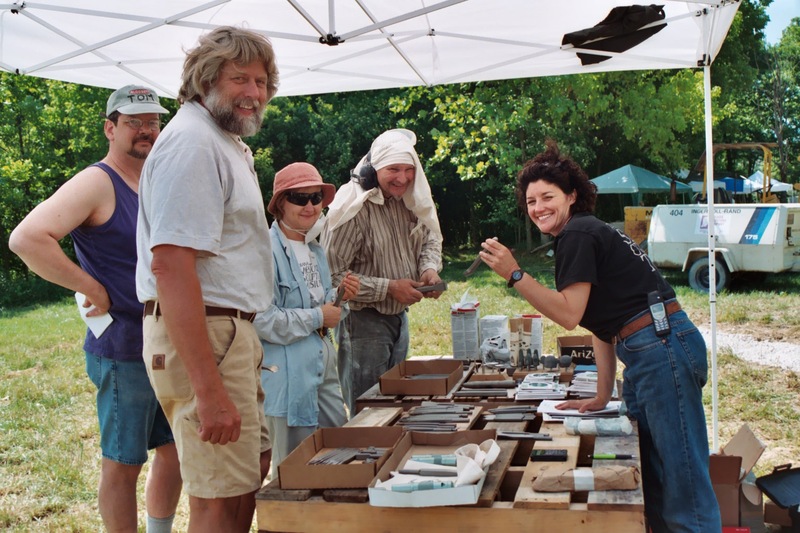 Instruction continues with letter carving in stone at the Symposium site on Tuesday and concludes Friday June 14. Workshop meets 9am – 12pm and 1pm – 5pm . 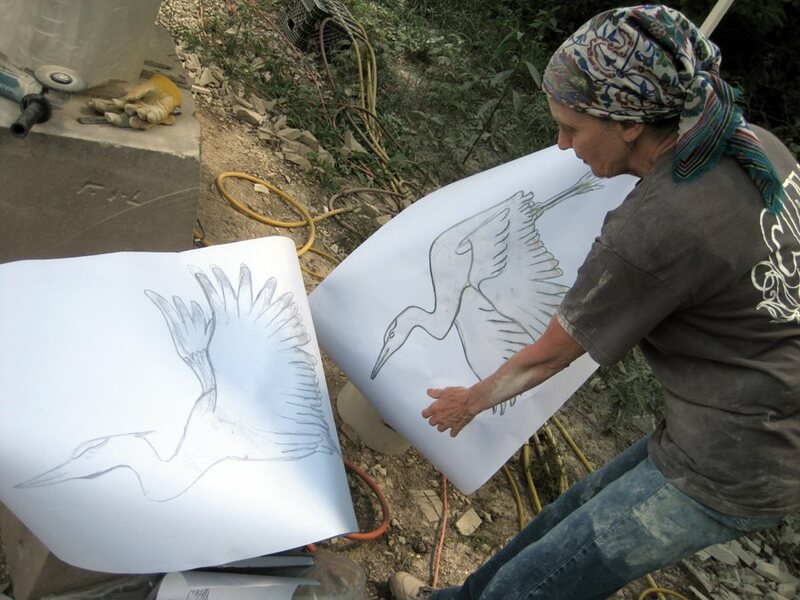 Expert calligrapher and letter carver Janey Westin will lead you through the lettering process from making the letter form to carving it in the stone. Janey will have lettering brushes for sale. Paper, stone, and tools will be provided. 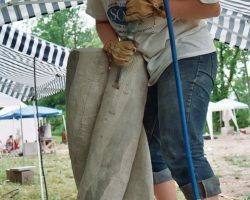 Participants must bring safety glasses and wear sturdy, close-toed shoes; no sandals or flip-flops permitted at the Symposium site. Please note that there is no catered lunch available for the Mon session at Ivy Tech Comm. College. Only for those registered for Art of Carving session. 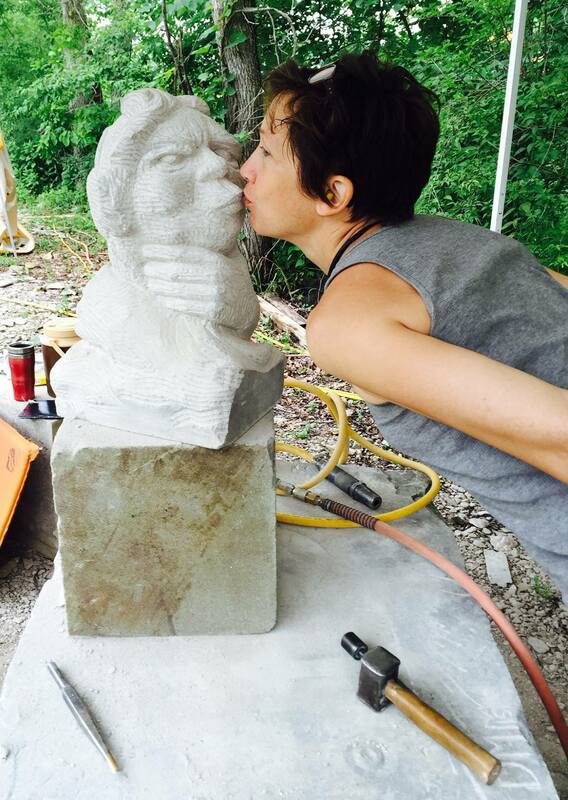 Independent Carving offers a chance to continue working in the stimulating Symposium atmosphere. Instruction is not provided. Included: Use of power, forklift, breakfast, drinks and snacks. Beginning instruction in hand carving; work at your own pace. One or more days, pay as you go. Multiple days do not need to be consecutive. Workshops are Half Day (9am – 12pm) or Full Day (9am – 12pm and 2pm – 5pm) Monday – Friday. Participants must bring safety glasses and wear sturdy, close-toed shoes; no sandals or flip-flops permitted. 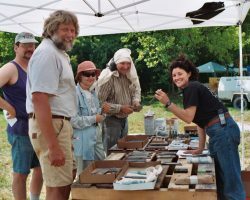 Included: Instruction, drinks, snacks, loan of tools, and stone (assorted sizes up to 2 cubic feet: approximately 300 pounds). Sorry, we cannot provide stone cut to order for day carving. Hand carvers are welcome to work on their own and/or enjoy lunch (bring your own or add our lunch option) from 12pm -2pm. Registration is underwritten by a generous grant from the Young Family Endowment. Beginners learn to carve on limestone blocks approximately 8 inches square. Advanced students will work in the round, and have a chance to try out pneumatic tools. Participants must bring safety glasses, work gloves, water, drinks and snacks, and wear sturdy, close-toed shoes, no sandals or flip-flops permitted. 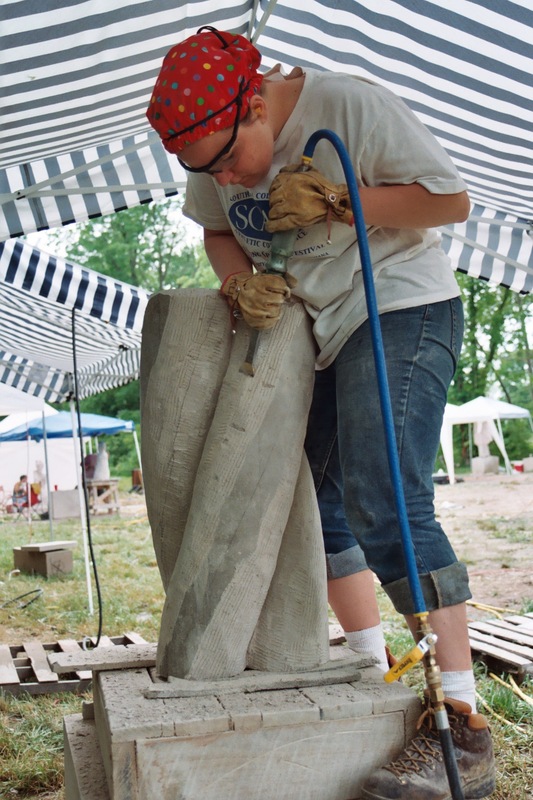 $105 for those registered for Art of Carving, Figure Carving, and Work on Your Own weeks. $75 / week, or $15 / day for those registered for Hand carving.